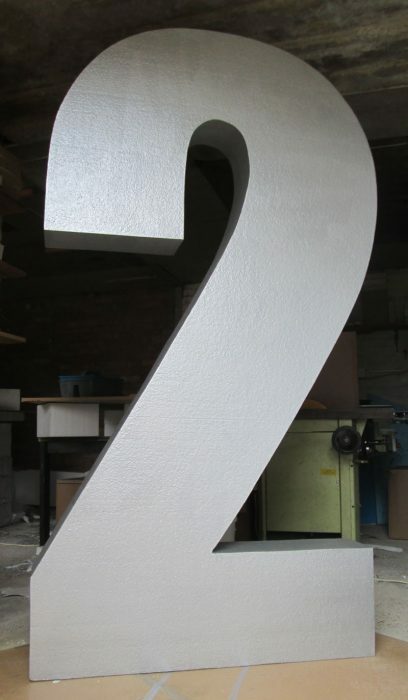 Giant silver painted polystyrene numbers, 2000mm high, 200mm thick, painted in a silver finish. Big standing numbers for events using the Impact Font. or make an impact with your shop windows installation. 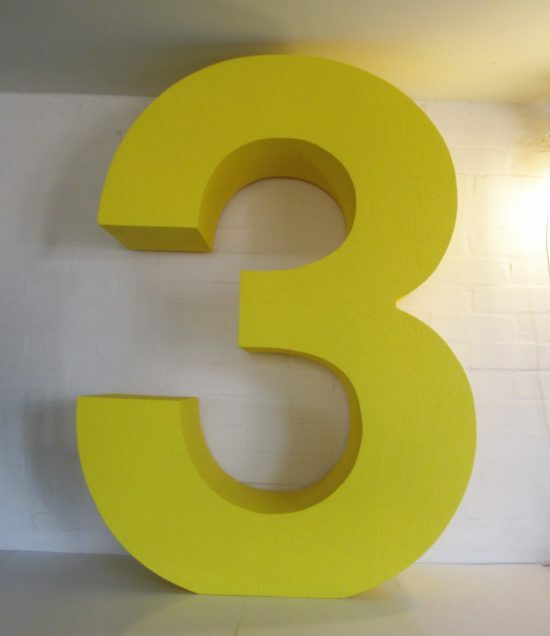 Polystyrene numbers for instore and window displays. These are available in a wide range of fonts, and in sizes from 100mm to 2000mm high. They can be supplied in a natural white finish, painted to any colour or glittered in a red, silver, gold, purple or other colour of your choice. These light weight numbers are easy to install. 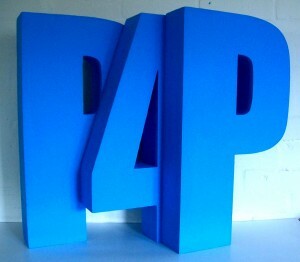 Big polystyrene letters, painted in a Cyan blue vinyl matt finish, Impact font, 800mm high, 200mm thick.